Answering gardening and landscape questions through venues such as Master Gardener Telephone Hotline, Las Cruces Farmers and Crafts Market, Las Cruces Home and Garden Show and Garden Expos in local garden centers. Working with schools and community gardens by providing technical information and presenting educational programs. Providing community educational information and programs on topics such as plant selection, pest management, soil composition, sustainable landscape practices, etc. Assisting with Extension youth programs, such as 4-H and Kids & Kows & More as well as other school and community youth programs. Providing assistance to local residents, garden groups, city and county departments, and at community events such as the annual Las Cruces Tour of Gardens, the Asombro Institute's Butterfly Flutterby & Medicinal Plants Tour and the City of Las Cruces Water Festival. Assisting with Agricultural programs such as Pecan, Chile and Onion Conferences, Field Days, etc. Updating their own skills and knowledge by attending trainings such as conferences, workshops and monthly Master Gardener meetings. The Extension Master Gardener program was started in 1972 in King and Pierce counties, Washington. It has become internationally recognized and often duplicated as a model for other volunteer programs. Today, Extension Master Gardener programs exist in all 50 states and the District of Columbia. 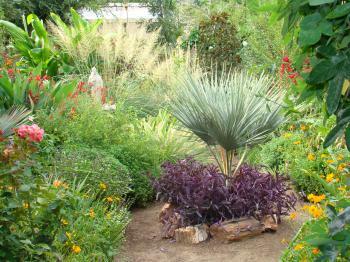 In New Mexico, the Master Gardener Program began in 1981 in Albuquerque. Fifteen New Mexico counties and the Navajo Tri-State Extension Office now have active Master Gardener programs.